The program is offered jointly between Gottfried Wilhelm Leibniz Universität and 12 partner European universities. 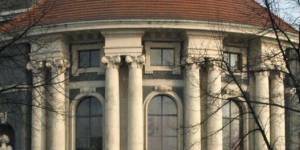 First semester classes take place in Hannover and the second at one of the partner universities. There is no tuition for the first semester and tuition for the second semester varies depending on the chosen partner university (from 0 to 4 500 EUR). Program comprises a two-week residency at each university and a thesis. Tilburg-Vienna-Maybe Oslo Uni. Tilburg-Vienna-Maybe Oslo Uni. There are no photos of University of Oslo - Faculty of Law. kondo43 posted on a discussion Tilburg-Vienna-Maybe Oslo Uni.